Justin Timberlake Archive - JT Wins Decade Award Teen Choice 2016! You are here: Home / News / JT Wins Decade Award Teen Choice 2016! 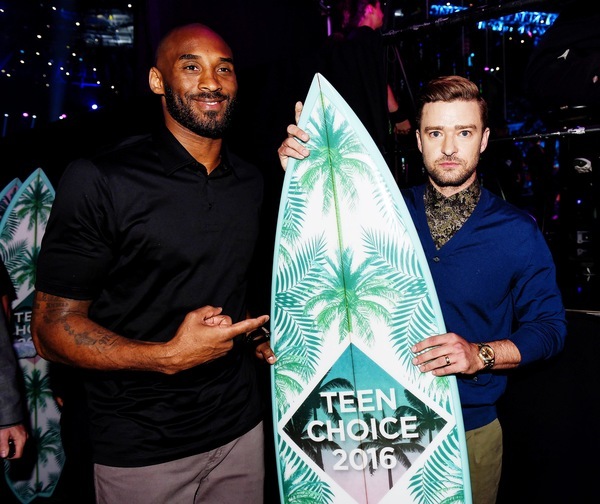 JT Wins Decade Award Teen Choice 2016! On July 31st, basketball legend Kobe Bryant presented Justin with "Decade Award" for his work over the past 10 years, which has included the albums “FutureSex/LoveSounds” and “The 20/20 Experience.” His most recent hit song, “Can’t Stop The Feeling,” is currently at No. 4 on the Billboard Hot 100. In his speech, JT included inspiring quotes from Muhammad Ali 'Number one: The champ said this: "Don't count the days, make the days count". I love JT so much ! Honestly, cannot think of a more deserving artist than JT!